The IRS has issued a notice stating it will begin the process of revoking passports of individuals with “seriously delinquent tax debts.” Seriously delinquent tax debts are those totaling more than $50,000 indexed for inflation. According to the Internal Revenue Manual the threshold is now $51,000. The amount includes not just the tax, but penalties and interest as well. However, the statute refers to “assessed” liabilities, and there are many instances where the IRS doesn’t assess all of the accrued interest and penalties so it is possible to owe the IRS more than $50,000, and still not meet the threshold. Notably, FBAR penalties are not counted towards the threshold. Revocation of passports is not new. It was authorized by Congress in December of 2015 pursuant to new Internal Revenue Code Section 7345. However, the IRS has not implemented the program until now. 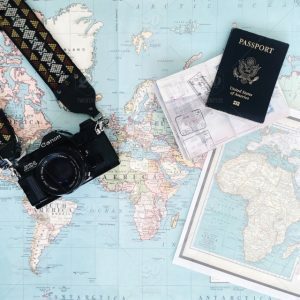 Although most tax attorneys and tax accountants refer to the IRS revoking passports, what actually happens is the IRS sends a certification to the State Department, and the State Department will take action to revoke the passport. The IRS will notify taxpayers in writing at the time of certification using IRS Notice CP 508C. The IRS will send the notice by regular mail to the taxpayer’s last known address. Since they will not be sending it by certified mail, there will be no way to prove that the IRS didn’t send it in cases where the notice is not received. The IRS apparently will not give taxpayers advance warning of the certification notice. However, at least according to the IRS website, the State Department will wait 90 days after the certification before actually revoking the passport. The idea is to give the taxpayer time to straighten out the tax debt before the actual revocation. However, in the view of our tax attorneys, in many situation this will be insufficient time, especially in these days of reduced IRS budgets, which limits their ability to move quickly due to sheer overwork. Once the certification has been made by the IRS, paying the debt down to under $50,000 will NOT cause reinstatement of a passport. A levy has been made. Debt on which collection has been suspended because a request for innocent spouse relief under IRC 6015 has been made. Taxpayers in a Disaster Zone. There are numerous exceptions and conditions to these exclusions. Our tax lawyers previously recommended that taxpayers owing less than $50,000 consider negotiating their own payment agreements with the IRS rather than incur the costs of engaging a tax professional. We can no longer make such a recommendation to taxpayers who, for whatever reason, are concerned about their right to travel since there are too many ways to slip up, and the consequences can be devastating. If you would like to make speak to arrange a consultation with one of our experienced tax litigators, please call our office.